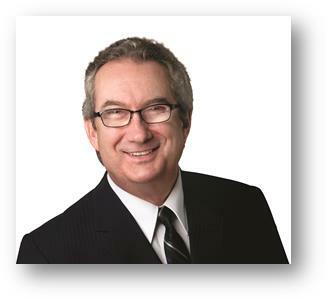 WINNIPEG – WinnipegREALTORS® is proud to announce Stewart Elston as its 2016 president. He takes over the position from outgoing president David MacKenzie. Elston becomes WinnipegREALTORS®’ 113th president and will lead its 1,850 member strong organization this year. Established in 1903 as The Winnipeg Real Estate Exchange, the leadership right at the outset was committed to seeing real estate practiced in a professional manner with proper rules and regulations put in place to bring order to what then was an unruly, chaotic market. One of the successful byproducts of the pursuit to set up a better way to buy and sell real estate was the development of a Multiple Listing Service (MLS®) which WinnipegREALTORS® now runs and operates for the entire province. It has served Winnipeggers and Manitobans extremely well over many years. Another real strength of the Association has been the Real Estate News (REN), a weekly publication that started 35 years ago on January 9, 1981. It has never missed a weekly publication deadline since its inception. The REN also now publishes a commercial and condominium magazine at different times of the year. Stewart Elston has been licensed as a salesperson for 9 years and another 6 years as an alternate broker for Realty Executives Premiere. He focuses exclusively on residential real estate and sells both resale and new homes. Besides being on the Board of Directors, he has served on a number of association committees such as Government Relations and Technology. He comes by his interest in the Association’s political activities honestly as he earned an undergraduate degree in Political Science. Elston showed his passion for REALTORS® and what he and they do to earn a living by speaking as a private citizen at a public hearing on proposed real estate legislation. His comments were well articulated and he was very capable in responding to questions from a number of MLAs on his presentation. Whether it be a public hearing or speaking up at a Board of Directors meeting, Elston is ready to embrace a year where new technology will be front and center in ensuring WinnipegREALTORS® proprietary interests are well looked after and being advanced. As for the local real estate market, Elston gets to kick off his year in a more public way at WinnipegREALTORS® annual forecast breakfast later this month. He will provide opening remarks at this breakfast slated for Wednesday, January 27th at Canad Inns Polo Park. In addition to providing MLS® and commercial forecasts, the feature speaker is senior economist Alexander Fritsche from the Bank of Canada. CentrePort’s CEO and president Diane Gray will also give an update on the progress of this important 20,000 acre inland port development. Elston will be ably complemented by 11 other directors. Jennifer Berthelette, SDEC Chair-Elect Cornerstone Properties Inc.